General Orders No. 11, Grand Army of the Republic Headquarters. I. The 30th day of May, 1868, is designated for the purpose of strewing with flowers, or otherwise decorating the graves of comrades who died in defense of their country during the late rebellion, and whose bodies now lie in almost every city, village and hamlet churchyard in the land. In this observance no form or ceremony is prescribed, but Posts and com­rades will, in their own way arrange such fitting services and testimonials of respect as circumstances may permit. We are organized, Comrades, as our regulations tell us, for the purpose among other things, “of preserving and strengthening those kind and fraternal feelings which have bound together the soldiers sailors and marines, who united to suppress the late rebellion.” What can aid more to assure this result than by cherishing tenderly the memory of our heroic dead? We should guard their graves with sacred vigilance. All that the consecrated wealth and taste of the nation can add to their adornment and security, is but a fitting tribute to the memory of her slain defenders. Let pleasant paths invite the coming and going of reverent visitors and fond mourners. Let no neglect, no ravages of time, testify to the present or to the coming generations that we have forgotten as a people the cost of a free and undivided republic. II. It is the purpose of the Commander‑in‑Chief to inaugurate this observ­ance with the hope that it will be kept up from year to year, while a survivor of the war remains to honor the memory of his departed comrades. He earnestly desires the public press to call attention to this Order, and lend its friendly aid in bringing it to the notice of comrades in all parts of the country in time for simultaneous compliance therewith. 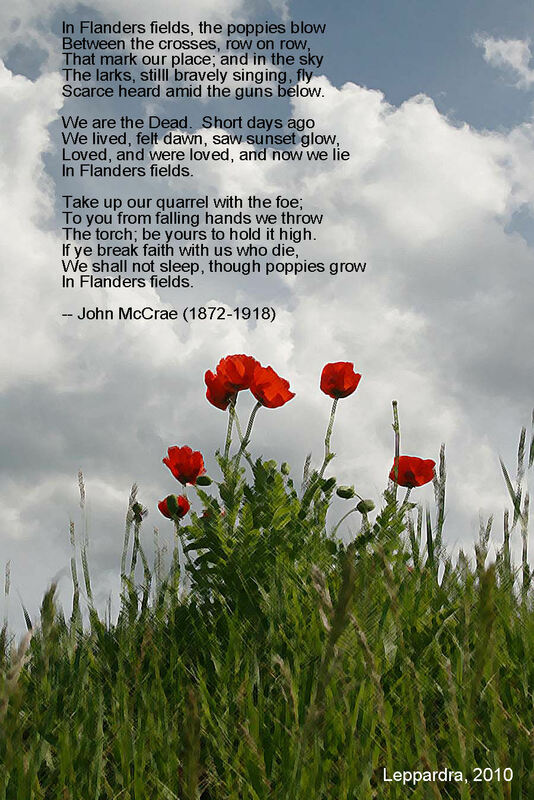 This entry was posted in Annual Posts, Holiday/Patriotic, Holidays, I Love America, Inspirational, Music, Religious, Think about it and tagged Abide With Me, In Flanders Fields, Memorial Day, Military Taps, Poppies, Royal Scots Dragoon Guards, Taps, The Thanks of a Grateful Nation. Bookmark the permalink.